Do you know in which exact circumstances you can use your cleaning equipment and food handling tools in contact with food? With which particular food products, at which temperatures, and for how long? Well, we hope the answer is “yes” because such directions for use are mandatory information on any Declaration of Compliance (DoC) for plastic food contact materials. And you need to have such DoCs fully up to date and in order to prevent your company getting into hot water with regulatory authorities. A DoC is an important legal requirement for any plastic food contact material used in the EU. The purpose of such a DoC is to certify to the food manufacturer or producer that any specific plastic article intended for use in contact with food complies with all relevant EU legislation and doesn’t leach toxic chemicals when it comes into contact with food. And is therefore safe to use. Regulatory authorities as well as food safety auditors may wish to check your company’s DoC compliance, and are entitled to do so at any time. Adequate information about any functional barriers. If these information requirements are not complied with, you risk receiving a notice of non-conformity from the authorities in question, or from a food safety auditor. 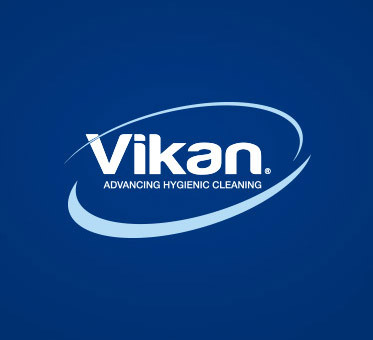 In addition to EU compliance, the materials used in Vikan cleaning equipment and food handling tools intended for food contact can comply with the US Food and Drug Administration (FDA) CFR article 21. This compliance is described in the “FDA Compliance” section, with reference to the relevant sections in this set of requirements. It should be noted that within Europe compliance with FDA requirements alone is not sufficient. In the US, there is no requirement for migration testing of the finished article. Instead the plastic material itself is considered safe based on testing or is designated as exempt from testing. We’ve developed the new format for Vikan DoCs specifically with you as a food producer in mind. It gives you an easy-to-read overview of the compliance status for each Vikan product intended for contact with food. All the legally required items mentioned above are, of course, covered in Vikan DoCs. But I particularly want to highlight the information Vikan provides about food contact usage and food contact types. This information is very important. If any plastic article is not used as intended with regards to temperature, duration of contact or types of food products, it might release some amount of harmful chemicals into your food products. This could then result in contamination, and an expensive recall that would have serious impacts on your company’s commercial credibility and brand reputation. The food contact usage time and temperature shown on the DoC tell you how long you can use the plastic article in contact with food, and at which temperature. Vikan DoCs make it extremely easy for you to find this key information about where and how to use Vikan products. There is a tick box for each of the different food types. A tick in all the boxes means you can use the product in contact with food products of all types. We provide a DoC for each individual Vikan product, featuring a photo and an individual description. This makes it easy to recognise the DoC applicable for each particular plastic article your company is using, and get information about the appropriate regulatory compliance and food contact usage. Furthermore, you will always be able to quickly and easily demonstrate compliance at food safety inspections and third-party audits. We always keep Vikan DoCs up to date so you can present them at food safety audits and be confident that they comply with the latest versions of any appropriate regulations. Vikan monitors every change to the (EU) 10/2011 plastics regulations and each Vikan DoC is updated as soon as we have ensured compliance with any new amendment. This means that when new substances or specific restriction limits are added to Annex I or Annex II in (EU) 10/2011, we include those in our migration tests if such items are present in the material. Satisfies the appropriate authorities and auditors by providing an easy overview of each individual plastic article’s compliance, in an appropriate language. Vikan DoCs are now available in eight languages (English, German, French, Spanish, Italian, Russian, Swedish and Danish). This helps you evaluate and use the documentation in a language most familiar to you, and helps prevent misunderstandings about the right food contact use for the specific plastic article. it also makes it easier to provide local regulatory bodies and food safety auditors with appropriate documentation about your company’s compliance with these important mandatory regulations. You can download Vikan DoCs individually or in bulk. A bulk download is easy using the item numbers for the plastic articles for which you need a DoC, and only requires a login. Please go to our website www.vikan.com and try yourself.